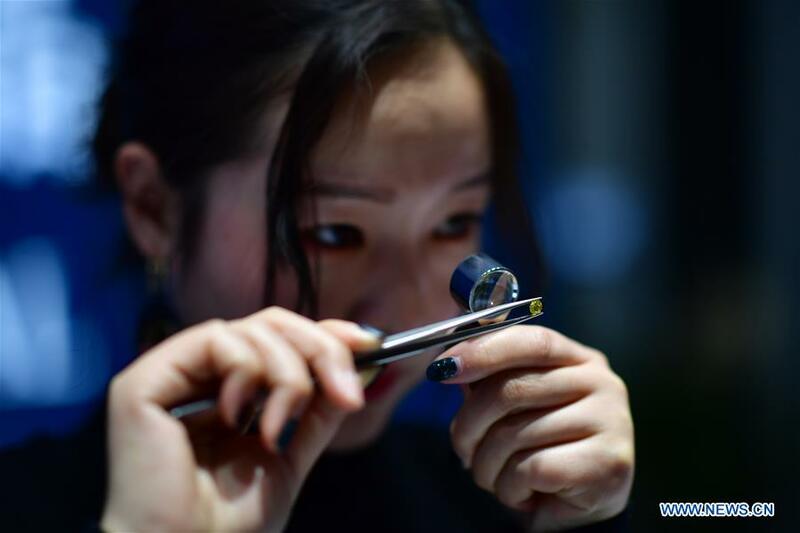 ZHENGZHOU/BRUSSELS, Feb. 6 (Xinhua) -- A diamond is forever but its chemical composition is just carbon, the fourth most abundant element in the universe. Before being cut and polished to what may cost over 2,000 U.S. dollars per carat -- one-fifth of a gram, or the weight of two grains of rice, diamonds have traditionally been mined from earth where they were forged in extreme pressure and heat over millennia. The man-made diamond jewelry market will grow 22 percent annually from 1.9 billion U.S. dollars to 5.2 billion by 2023, Zimnisky said.